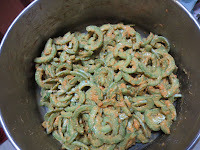 Add salt to taste, asafoetida,turmeric powder, red chilli powder to besan flour / Bajji flour. 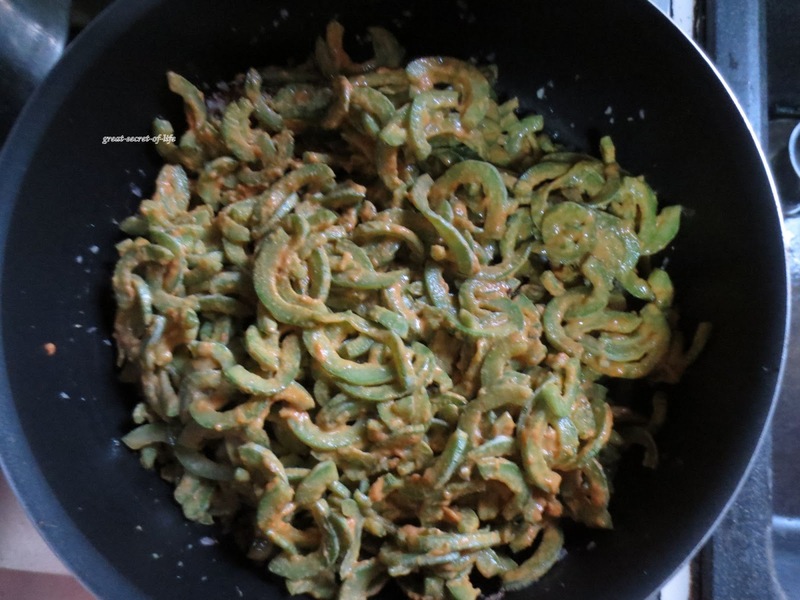 Mix this with cut Snake gourd and mix well. if needed sprinkle water. Snake gourd will give out water so careful about adding water. I don't add water at all. 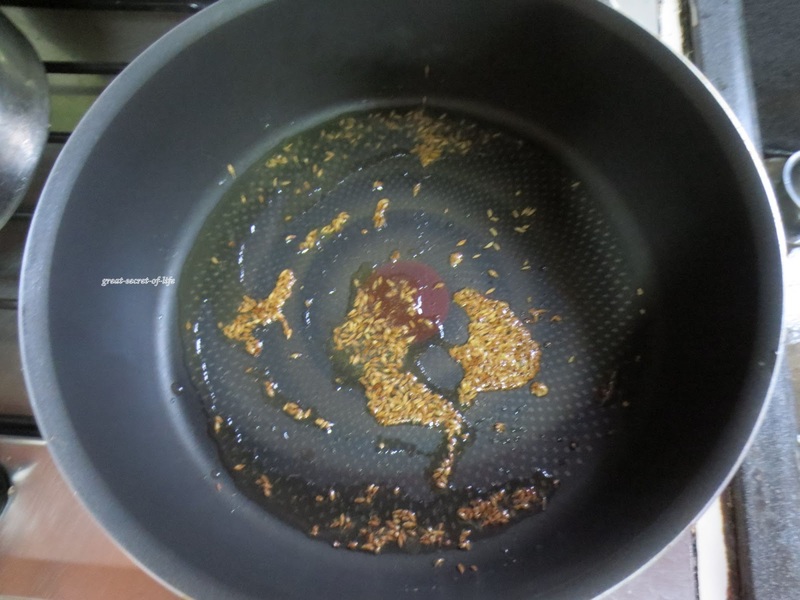 Heat the oil in the kada. 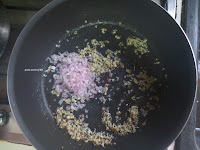 When oil is hot add Ajwan, Cumin seeds and when it crackle add garlic/ginger and fry till garlic is brown in color. Add Onion and fry till it is slight brown in color. Add snake gourd and mix well. Super tempting and yummy curry. 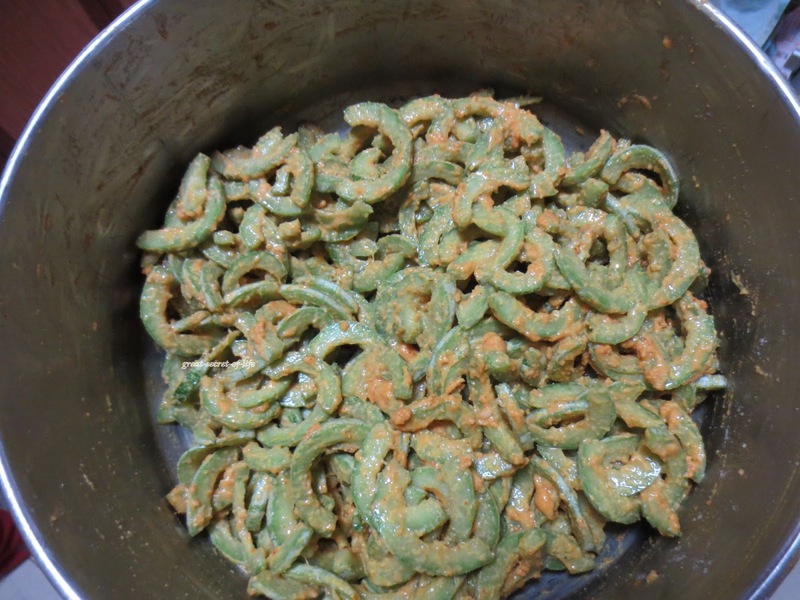 very healthy and delicious subji. never made with besan,looks so delicious,shld give a try. innovative and yummy tempting curry. 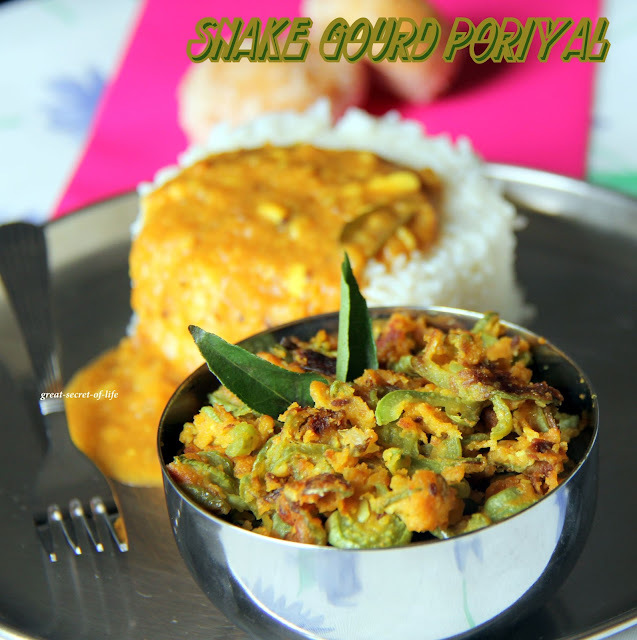 how long do we need to leave the snake gourd mixture to rest? should we dry roast the fried gram? Ajwain is good for health :) Love the recipe !! 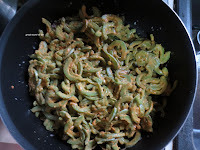 wow..this sounds so yummy n delicious preparation, haven't tried snake gourd this way...inviting clicks! 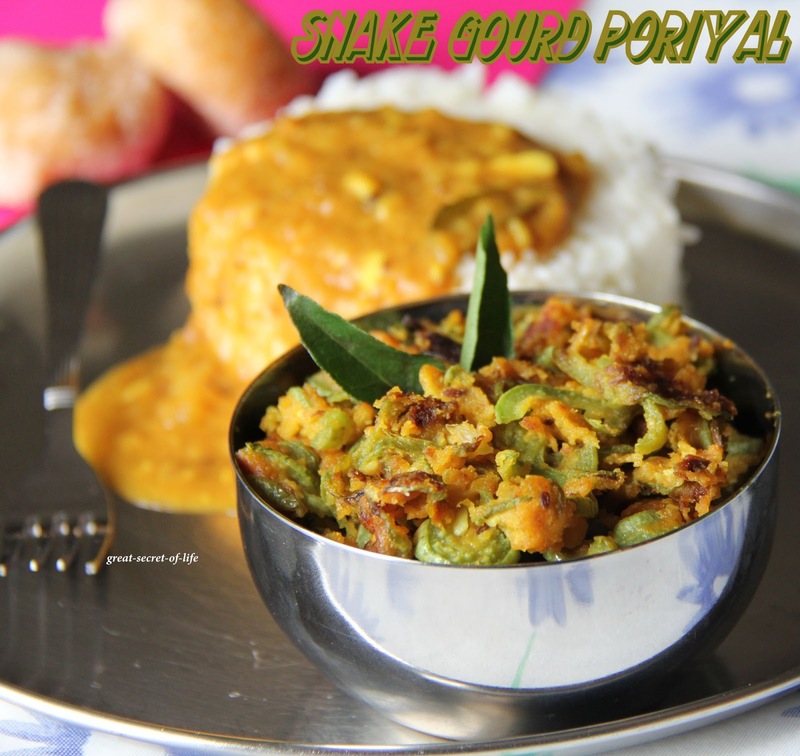 Delicious snakegorud curry Veena I haven't tried use them with besan. A healthy and delicious veggie curry! i love this veggies.. healthy and delicious.. Healthy poriyal. My lunch is incomplete without some form of poriyal. 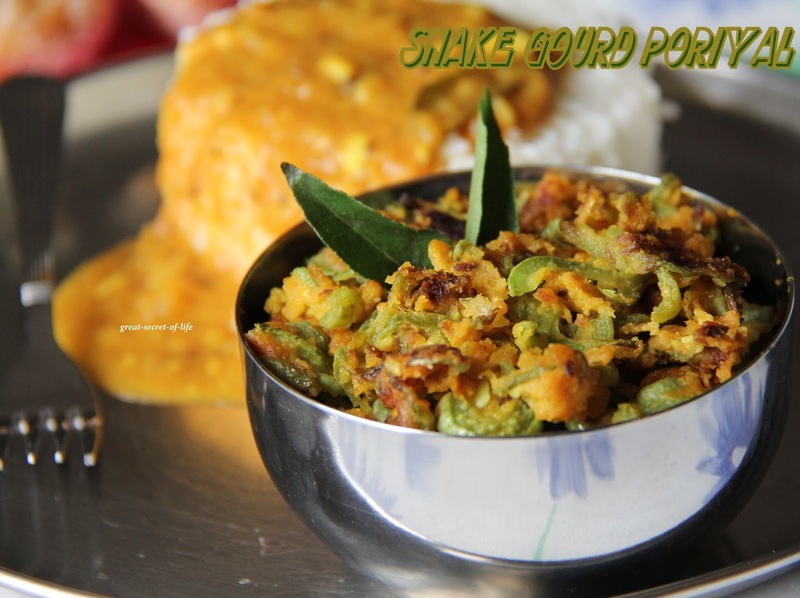 Very delicious and nice recipe..
A totally new preparation to me...Looks delicious..